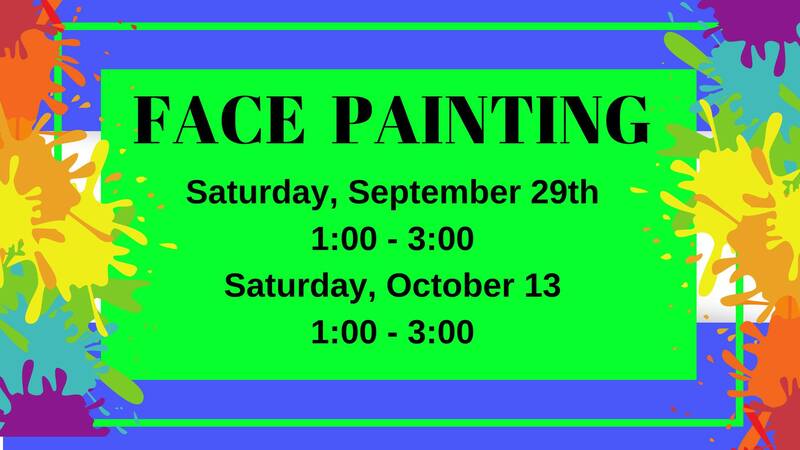 Join us for face painting!! Have something in mind?? Perfect!! If not… choose from one of the many designs available!! Bring your friends and get matching face paint together! * This event closes promptly at 3pm regardless of how many people are in line. Please plan your day accordingly.